Cherdo on the Flipside: Battle of the Bands: "If I Were a Carpenter"
"If I were a carpenter, and you were a lady..." Oh, 'scuse me! I've got an ear worm, defined by www.dictionary.com "as a catchy song or tune that runs continually through a person's mind." As worms go, I'm the fish that bites that (ear) worm every time. I've always had a problem with getting a tune stuck in my head for days on end. Sounds like a battle-worthy song! 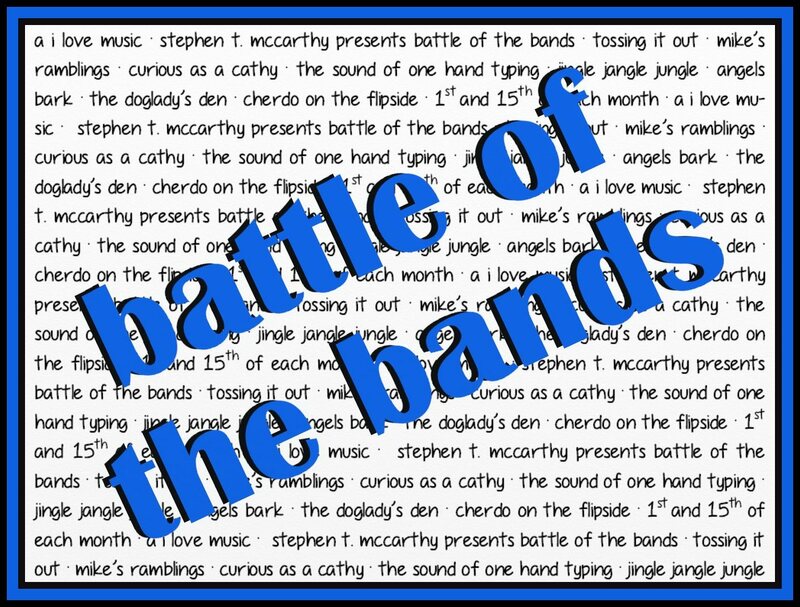 This particular wormhole is the BATTLE OF THE BANDS and it was started by FAR AWAY EYES (smooch...) and STEPHEN T. McCARTHY (sa-lute!). If you're new to this, a Battle gets posted on the 1st and 15th of each month and results appear magically six days later, on the 7th and 21st. You comment below and tell me which tune your favorite and why (if you want to elaborate). If it's absolutely necessary, I add my own humble vote to break a tie and announce the winner. "If I Were a Carpenter" sounds like it should be a religious tune, tipping its hat to our favorite carpenter, but nope...not at all. This Tim Hardin tune (linked) has been around (he performed it at Woodstock, no less). Many would associate this song with Johnny Cash and June Carter Cash...and that is why I'm leaving that version out. I confess, I've got a clear favorite. Could you guess which one? But what version is YOUR favorite? Why? Is the ear worm in your noodle now, too? Good luck with that and thanks for participating! I'll be back with results on the 7th...in the meanwhile, check out the results from our other participants. Wow! One of my favourite songs, so I don't mind the earworm, at all. ☺ The dilemma is which version to choose, because they're all good. After listening a couple of times, I'm going with Bob Seger. He gave it more nuances. Excellent battle, Cheryl! P.S. is Bobby Darin your favourite? He was a very close 2nd, for me! I dislike the outdated sexism of the lyrics no matter who sings it but of the three versions, I'll vote for Bobby Darin. I'm going to go with Bobby Darin. Something about the way it flowed. His inner cool was showing...Thanks, Alex! Those Four Tops sure looked like they wuz having a good time! And I liked their version, although (in my subjective opinion), it was just a shade too upbeat. Bob Seger (in my subjective opinion) was way too over-the-top. Bobby Darin? Now (as an objective fact), that porridge was... just right! It's about a 97%-99% sure bet that anytime Bobby Darin is involved in a BOTB competition, he will be getting my vote. Late arrival is fine, as I do that from time to time myself. Your objectively factual vote is noted, brudder! You can't go wrong with Bobby Darin (another one on my Dad's play list). Thanks, Stephen! I haven't heard this song in ages. It sounds so much better than I remember. I guess my tastes have changed a bit over the years or maybe it's just a matter of nostalgia. I'm not sure which one you'd pick. Every one of these versions is outstanding in its own way and I'd take any one of these to listen to. The version that I think would have the most staying power with me would be the one by Bobby Darin. It's so different than the other stuff by him that I think of. And I prefer the style and the instrumentation. So cool sounding. 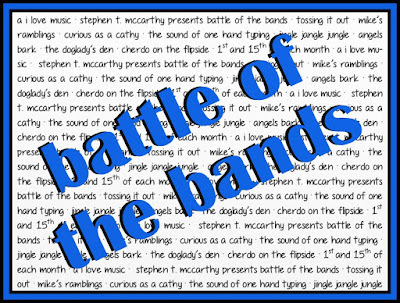 Excellent Battle that was a real challenge to my musical perception. Yes, Darin has the stuff! He sounds so good in this version. Thanks, Lee! I thought I remembered this song but apparently not. I listened to all six versions on Youtube and I'm going with the Motown sound of the Four tops. I think the song writer, Tim Hardin, would have come in last. Mike, you are going above and beyond the call of duty - and I love that. I have to agree with you on the Tim Hardin version...I almost put it in but it breaks my rule of actually using songs I like exclusively. I had no idea there was a name for a tune that stays in your mind uninvited. I can't vote on the song. I'm blogging during a movie and my family gives me dirty looks when I add any sound distraction. Ha ha ha...I'm voting for family harmony in WV. Thanks, Elizabeth! Your battle song covers turned out to be more difficult than I first thought. I listened to all three three times before finally nailing my choice down. Bobby Darin gets my vote with his mellow vocals and simple mewsic style. The Four Tops came in second with Seager bringing up the rear. Excellent showdown! "Mewsic." Ha ha...who said catty comments are bad - that one is perfect. Funny, my husband and I heard the term earworm many years ago and that's what we've referred to now. Many commercial songs leave earworms that are annoying. I love love this song especially done by June and Johnny. I really enjoyed the Bobby Darin version but i'm going to go with Bob Seger. He's been on my all time fave lists since I was a kid and I've seen him in concert twice. I like his spin on the song! also, I went and looked through my old songs on iTunes I bought and there is a version I really like by Lupe Carroll who was a contestant on The voice. When I heard him perform, I bought the song ( which also counted as a vote). You should listen and see if you like it. I'm on it! A good song is a good song, it doesn't have to come from someone on the Top 100 list. The world is full of wonderful singers I haven't discovered yet! So, thanks! Bobby Darin gets my vote, but Bob Seger made it close. He is Bob Seger...not exactly a whimp in the music biz. Bobby did well to hold on to your vote! Thanks, Mike. These were three very great versions! I grew up knowing the Darin version, so that's where the vote goes, but there wasn't a loser in the bunch. Thanks, Chris! I do love that version so much! Guess who is late making the rounds this week? Yup! That would be me. Great song choice for this battle, as well as interesting picks for the contenders. They are all so very different from each other. I guess that makes it easier to pick which one we like, right? I'm picking Bobby Darin. Perfection. Oh, he is dang near perfect! Especially on this song. Thanks, Mary! Bobby Darin, just no, that's an era thing. The Four Tops had me rockin back and forth - not indecisive rather like Stevie Wonder totally grooving to it. I was already biased against Bob Segar because he's way to emphatic (yes I got his double live album from 1 penny for 9 albums Columbia Record Club and have long stopped liking "arena rock" of which he supercedes the genre)… as much as I don't like and didn't think I'd emphatic these days... gotta give it up, a vote for Bob Segar (By the way I actually ordered the album as part of the first order penny, I didn't get the album because I forgot to send the card back). I had forgotten that The Four Tops had done this, and remember really liking it, so I'll cast my vote for them. And I'll take that vote, John! Thanks! Did you sway side to side when you listened? Who doesn't like the Four Tops? I would like to vote from Mr. Bobby Darin. The other versions don't sound bad but Darin's version just reminds me of a country tune. Thank you, aisasami, for your vote! Looks like Bobby Darin did well on this battle.